1. How to know that we have reached a solution? We need a hypothesis towards discovering the mechanism of operation of the nervous system that provides internal sensations of various higher brain functions such as perception and memory are first-person inner sensations. Since empirical research to study the generation of these inner sensations cannot be carried out within the biological systems, it is necessary to theoretically derive the mechanism, verify it by testing its predictions, compare circuitries of remote animal species and undertake the gold standard test of its replication in engineered systems. In contrast to biology, engineering and physical sciences deal with virtual items all the time. In this context, it is possible to adapt some of the theoretical methods used in those fields of science. The strong constraints offered by disparate findings from different levels of the nervous system indicate that it has a unique solution. Using the principles of methods that are being used in physical and mathematical sciences, it is necessary to derive a mechanism that can explain all the features of the system observed at various levels and test whether we can triangulate different findings using the derived mechanism. The features of various loss of function states also provide valuable information towards the verification. Even with this, engineers often would like to look at how the mechanism was derived before even thinking of going to replicate it! Therefore, this page aims to explain the derivation of a probable mechanism to the engineers. This is an essential step and serves two purposes. One, it helps us to get a clear understanding of the experimental steps that are necessary to solve the system and secondly, it provides necessary motivation to undertake the gold standard test of its replication in engineered system. So let us examine some examples. Let us see how scientists from basic sciences will approach a complex problem. A mathematician will say "Find out all the equations and show me your system of equations. Make sure to include all the (non-redundant) equations so that all the variables are included at least once. Once you are ready, try to solve the system." Since physicists carry out this approach all the time, we can examine how physicist and an engineer will approach this case. A physicist will say "You can come up with anything, preferably an equation1. What I will be interested is to see whether you can explain2 all the findings from various levels with your equation. Call me when you are done." Here, one is expected to use all the available information ("equations" in mathematician's terms) and figure out a solution for the system that will enable formulating an equation for the system. So this requires solving the puzzle that can find interconnections between large number of features of the system to arrive at the correct solution. An engineer will say, "Show me your sketch of the plan. I will verify everything and I want to see it running in an engineered system." Again, the engineer is examining how various elements are fitting together. All the above approaches have one message in common - In order to solve any system, we need to reach a stage where we can interconnect all the elements within it. The nature of the problem can be explained using a similar example from the physical and engineering fields. Imagine that you were educated up to the graduate level in physics and engineering but without providing with any information about electromagnetism (EM) at any stage of your education. You only know the qualities of direct current. You are not given any access to books describing EM. Basically, you were brought up without exposure to any knowledge about EM. Now you are given an electric fan and access to a hydroelectric power generator. You can open both of them and study them to discover the basic principle of operations that you don't know yet. Now you have to travel in a backward direction towards the basic principle. Along the way you have to reduce the functions to achieve a common principle that can explain both the electric fan and the power generator. How to assess whether you are moving in the right direction? One method is to find whether you have found out the need for using brushes in the current generator at the hydroelectric power station. If you figure this out, then one can reasonably be sure that you have come up with the alternating nature of the current. You will be making several correlations and will be using them to figure out the basic operations. Only when you are able to explain every one of your findings in an inter-connectable manner, you will be able to say that you have discovered the mechanism. Various observations that you will be making provide valuable pieces of the puzzle that you will be using to adjust your hypothesis several times towards arriving at a solution. Sometimes, you will find that several of the pieces of the puzzle are fitting together initially; but soon you realize the need to dismantle them since you have another piece of the puzzle that won't fit in any manner in the remaining space. Eventually, you are likely to arrive at the basic principle of EM even though you may call it by some other name! If you derive the basic principle correctly, then you will be trying to examine whether a current carrying conductor gets defected in a magnetic field and you will also verify whether a current starts to flow in a conductor cutting a magnetic field. This is a perfect end! In the same way, we have a machinery from which we need to discover the basic operational principle, which will allow us to understand it and fix its problems. In this attempt, the first step is to arrive at the basic operational principle using logical analysis of the findings from various levels and verify whether the derived principle holds true. Whenever we arrive at the correct solution, we should find this solution compatible with all the previous experimental observations from various levels. Similar to the principle of EM that can be demonstrated using simple tools such as a U-shaped magnet, a conductor, and a battery, it may become possible to demonstrate the operational principle of the nervous system using a simple circuit. Here, I will focus on answering the following questions. 1) How neurons generate and transmit potentials? 2) How it is different from electric current? 3) What features makes it possible to translate to electronic circuits? 4) How to explain the seemingly complex brain functions in a simple way and the feasibility to replicate it? 5) How a circuit mechanism was derived by the semblance hypothesis? 6) How can we compare electromagnetism with that of the induction of inner sensations? 7) How does this function relate to the basic electronic circuit principles? 7. Why do we need to sleep? 1. What is there in an equation? An explanation - pdf. 2. A physicist's way of explaining explanation - Video. This presentation naturally leads to the question, “How can we make hard-to-vary assertions about the mechanism of brain functions?” “How can we seek good explanations – the ones that can’t be easily varied while still explaining?” We can attain the underlined stage only after solving the system, which is implicit (In other words, good explanation can come only when the correct underlying solution has reached - that may not have become explict while still explaining! So how can we reach a state where can we solve the system that will allow us to continue explaining? Explanation for the seasons became possible as we made enough observations, including the tilt of Earth’s axis. As we made more observations, we were putting them together to make sense of all those observations. In the case the nervous system, we have already made very large number of observations at several levels such as biochemistry, cell biology, electrophysiology, systems neuroscience, behavior, psychology, consciousness studies, and imaging studies. At this juncture, our priority should be to attempt to put those observations together to reach a stage that will allow us to make hard-to-vary explanations - an indication that we have already arrived at a solution for the system. While undertaking this, we should be prepared to use unknown factor (an unseen thing or a factor with an unseen property or a biological feature that can explain a property that cannot be directly sensed by our sensory systems) in our attempt to interconnect all the findings. We can get a sense of it by the following examples. A system of algebraic equations having a unique solution provides an example how the solution binds the equations within that system of equations. When we are finding the solution, we are finding how the solution allows interconnections between the equations, which is the underlying deep principle (and the beauty) behind a solvable system of equations (Two methods here: Video1, Video2). Note that a system of algebraic equations having n number of variables requires a minimum of only n number of equations to solve the system (for details see video2). It is most likely that observations from the biological systems won't behave like perfect equations and therefore we will require much more than n number of observations. But we have the freedom to choose those fitting ones to solve the system from very large number of observations. At this stage one may ask, "How can this be carried out using biological observations?" For each observation, we have been making causal observations from few other levels. We can assign variables to these observations and build short equations interconnecting the causal observations. Next step is to put all the equations to solve the system. To achieve this, we need to know all the equations and assign all the variables at appropriate locations within them. While doing this, we are allowed to keep one unknown variable representing a change at the correct level that can be formed during learning from which virtual units of inner sensations can be induced during memory retrieval. We have the freedom to assign different values to the latter until we succeed in solving the system. Knowing that we will have a unique solution helps to narrow down the candidate mechanisms. The constraints offered by different variables within the equations will provide us with information about possible features of the unknown variable. In this attempt any redundant equations however informative they may be, do not contribute towards solving the system. Discovering complex equations containing large number of variables (from among the n number of variables) also do not contribute towards solving the system. Given these facts, it is reasonable to assume that experiments in different fields of brain sciences have reached a saturated phase (for the purpose of solving the system) in that most often experimental results explaining correlations or causations between the observations made from different levels provide only redundant equations. At this stage, we should use the non-redundant findings from various levels to find the solution. In case we do not have sufficient number of equations (observations) to incorporate certain variables, attempts to solve the system will reveal it. If we become successful, then the unknown factor (whose value need to be derived by a combination of induction & trial and error methods) and its properties that allow us to interconnect all the findings from various levels should provide the solution. The solution can be verified by a) examining all the previous observations (method of retrodiction) and b) testing its predictions. Once we know all the variables, then we will be able to make very large number of new equations. Only at that stage we will be able to answer the question satisfying the specific condition mentioned by Professor Deutsch in the video (the underlined part of the question), “How can we seek good explanations – the ones that can’t be easily varied while still explaining?” We should make an effort in this direction at this point of time. If we keep waiting, new information from all the levels will continue to get accumulated and it will become very hard to make such an attempt. Why should we be able to replicate the mechanism using electronic circuits? The first-person internal sensations of higher brain functions (for example, memories) can only be objectively understood by making the contents of the first-person properties available to another person (Vadakkan 2013). When we achieve this, we will understand how the nervous system works. It is not possible to conduct experiments in biological systems to understand the first-person inner sensations. Therefore, we need to replicate the mechanism in artificial systems with the hope that we will be able to decipher the mechanism of operation that produce internal sensations. If we build exactly same operational units within the nervous system, this effort should succeed. Since we are building the artificial systems, we should be able to device methods to expose its inner mechanisms available to a second person. Semblance hypothesis has examined various nervous system functions that were observed by different branches of brain sciences and has provided a theoretically feasible mechanism of nervous system functions. Why should we be able to test the semblance hypothesis in artificial systems? Nerve conduction takes place along the neuronal processes. When it reaches the synapses, there is a synaptic delay of up to 2 milliseconds. Even though this looks small, it is actually a huge delay. If systems property of internal sensations can be formed with units having a huge delay at the synapses (nodes), then it should not matter how the conduction along the inter-nodal segments take place. 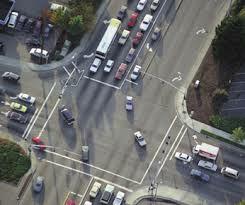 For example, look at the traffic intersections. It doesn’t matter how fast or by what method one arrives at the intersection. There is a delay at the intersection. In big cities, one can travel on a bicycle to catch up with a car for many blocks. Hope some of us have done this already! Therefore, we can make an argument that as long as there is a synaptic delay of up to 2 milliseconds, it doesn’t matter by what method conduction takes place along the neuronal process for the systems properties to emerge. If this argument is true, then we should be able to replicate the mechanism using electronic circuits. If we look carefully, there is a substantial difference between the depolarization spread in an unmyelinated neuron and a myelinated neuron. Myelination of the axons makes the depolarization to jump between locations without myelin (nodes of Ranvier). Depolarization is not touching the axonal areas covered with myelin. This is another example why it doesn’t matter how the flow of conduction takes place through the inter-nodal areas; what matters is its arrival at the synapses (and certainly facing the synaptic delay!). These features are very promising towards making arguments for the replication of the mechanism using electronic circuits. We have shown previously how systems effects of the formation of internal sensations can be tested by assembling the basic units of operations when they become available (Vadakkan 2011; 2012). Electronics deal with controlling flow of electrons using various components and utilizing the resulting effects. Electrons travel at very high speed. When one electron is added to one end of a conductor cable, we can think of it as if it is pushing out one electron from the other end of the cable. On the other hand, neurotransmission takes place by spread of depolarization wave with a speed of only 2 meters per second in unmyelinated fibers. But for neurons that are covered with myelin (by either oligodendrocytes in the central nervous system or Schwann cells in the peripheral nervous system) depolarization jump over the myelinated areas increase the speed of nerve conduction up to 120 meters per second (compared to nearly 3x108 m/s for electricity). By appropriately slowing down the flow of electricity at the synapses to match with the synaptic delay of 1 to 2 milliseconds, an artificial system can be built. Using these principles an electronic circuit was built (Vadakkan, 2014). More focused research in testing electronic circuits to develop artificial intelligence (McDonnell et al., 2014) will enable experiments to continue in this direction. Developing artificial intelligence (AI) has become an inevitable requirement for the future. This is demonstrated by our attempts to develop AI even before knowing the mechanism of natural intelligence (NI). Developers of current AI systems have not planned for artificial systems that creates internal sensations when they retrieve memory or plan and execute actions. This is primarily because there are no transferable mechanisms currently available from the nervous system. Once mechanisms are available, transferring them using engineered systems (McDonnell et al. 2014) will become feasible. In waiting for understanding the mechanism of nervous system functions that produce internal sensation of higher brain functions, there are some caveats. How do we confirm the mechanism of formation of internal sensations in biological systems? What is the endpoint that determines our understanding of the mechanism before transferring it to AI? There is a vicious cycle of inherent challenges that are being faced by us to understand the nervous system, which prevent us from this transfer. It is a fact that we cannot test the formation of internal sensation of higher brain functions of perception, memory or consciousness within the biological systems. This is because these are first-person properties towards which third-person experimenters have no access. Therefore, it is required to hypothesize a biological mechanism that can explain all the nervous system functions at various levels and replicate the hypothesized mechanism in engineered systems. Testing the formation of internal sensations in engineered systems will inevitably lead to the development of AI (Vadakkan 2015a). The challenge here is to formulate a working hypothesis that requires explanations for very large number of findings at various levels. Biological variations at each of these levels require adequate filtering of irrelevant observations and use the main frame of events from each level to build a framework to understand the system. Since large number of functions at various levels need explanation, the solution is going to be a unique one. It is also expected to be a simple one. Once the theoretical solution is available, we will be in a position to explore its principles using engineered systems. Natural intelligence is not merely memory storage and its retrieval. Intelligent systems are expected to take decisions for unique situations that the system had no direct previous experience. The intelligent decisions are taking place within the nervous system as first person internal sensations towards which only the owner of the nervous system has access. In this regard, intelligence has similarities to the internal sensations of retrieved memories. Intelligent decisions, in response to a specific cue stimulus, take place by using mechanisms underlying large number of previous associative learning events. When the cue stimulus is unique and novel and when a direct associative learning events between this cue and any other item have not taken place in the past, then the response to this novel cue stimulus has to depend on other associative learning events carried out by the system in the past to make accurate predictions. Internal formulation of the correct unique idea constitutes hypothesis (which the system will use other evidences to verify). The importance of hypothesis generation of these systems was highlighted previously (Abbott 2008). Internal sensation of the solution in response to the novel cue stimulus will then be dependent on the number of previous associative learning events. It is likely that the subunit elements required to get the correct idea lie in remote locations that require rare associate events that requires learning from large number of unrelated environments. The resulting idea in response to a previously unexposed unique novel cue stimulus, again is a first person internal sensation towards which only the nervous system will have access. Once accessed, the system will provide either behavioral motor outputs or outputs in the form of speech or written language to convey the retrieved idea to others. The ability to carry out these operations is limited for a given system. Since human nervous system has its limitations, replicating the mechanism in engineered systems for building large systems is one method to make progress. Currently there are no direct experimental methods to study the first person internal sensations. In this regard, several suggestions highlighting the need for re-examining the nervous system (Abbott 2008; Edelman 2012; Gallistel and Balsam 2014; Grillner 2014; Laughlin 2014; Mardar 2015) are likely to provide enough motivation to explore internal sensations. It is conceivable that for replicating human intelligence in engineered systems, it is required to first understand how internal sensations of higher brain functions are being created within the nervous system. Since it is not possible for a third person to access towards the first person internal sensations, we are facing a “frame of reference” issue in our current approach towards the nervous system functions. It is required to develop hypotheses to explain how first person internal sensations can be induced within the nervous system that can match with the synaptically-connected known neuronal circuit properties and large number of findings made by various fields of neuroscience research at different levels. Since the internal sensation of the retrieved memory keeps changing as the specificity of the cue stimulus changes from a general one to more specific ones, it is likely that a natural computational process of different units of internal sensations that are induced in response to the changing cue stimuli is taking place at physiological time scales. The mechanism for induction of the units of internal sensations is expected to be a simple phenomenon such that slight modifications of the processing of the mechanism can be used in inducing internal sensations of different higher brain functions. Since formation of these internal sensations are interconnected with very large number of findings at different levels, it is most likely that the solution for the system is a unique one. Therefore, it is reasonable to argue that theoretical examination that finds a feasible mechanism that can explain most of the major findings at different levels will be likely to be correct. Drawing optimism from this fact, theoretical examination of the formation of internal sensations was carried out and semblance hypothesis was developed (Vadakkan 2007, 2013, 2015c). This hypothesis has been extended to examine various features observed by different faculties of neuroscience at different levels. Various loss of function states of the system producing different disorders were also examined (Vadakkan 2012; 2015b). While the ability to explain large number of findings from different levels can confirm the likelihood of the mechanism and can be further verified by testing predictions using biological systems, it has to undergo the gold standard test of replication in engineered systems. The realistic hope while building these engineered systems will be that the internal sensations will be induced within such systems as a first person property. Since third person experimenter do not have access to the first person internal sensations of another system, the expected internal sensations in engineered systems have to undergo verification. Since we are building the engineered systems, in addition to the matching behavioral outputs, the computational products of the internal sensations can be examined directly from the operations of the system. The series of computation - experimentation - readouts of internal sensations - behavior steps will lead the development of AI. There are many challenges in operating the system. There should be segments for perception, associative learning, and behavioral motor outputs. It is first required to understand a framework for perception so that the engineered system can perceive sensory information. Towards this goal, examination of several key features of visual perception such as homogeneity of percept formation above the flicker fusion frequency, percept formation at locations different from the actual location (e.g. in refraction), induction of pressure phosphenes that is dependent on specific frequency of oscillation in the occipital cortex and possible functional role for the cortical columns have led to the observation of a feasible framework for the biological mechanism of internal sensation of perception (Vadakkan 2015d). Once the mechanism is transferred to the engineered systems, the second step will be to incorporate associative learning between two perceived sensory information that will enable inducing internal sensation of retrieved memory of the first information when the second information is perceived as a cue stimulus (Vadakkan 2011). An engineered system that suitably simulates human brain is expected to have consciousness (Minsky 1986, 1991). Since consciousness is a binding problems and since the frequency of oscillating potentials at rest is strongly correlated with the level of consciousness, the integral of all the units of internal sensations that are induced during normal oscillating potentials at rest was used to build a framework for consciousness (Vadakkan 2010). This can be applied and examined in the artificial system. In addition, the system should have operational segments that provide behavioral motor actions in response to retrieved memories to a perceived cue stimulus (Vadakkan 2015c). There should be provisions for behavioral outputs even in the absence of a conscious perception of the cue stimulus to demonstrate that behavior can become an unconscious event – for example, in procedural learning. Testing these frameworks in engineered systems will require installing and optimizing segments within the system to provide the third person experimenter with outputs regarding the nature of internal sensations being created. Using these outputs, a given system can be optimized for obtaining expected internal sensations within it. As the system complexity increases, the quality of the internal sensations will become better at the expense of a seemingly complex nature of computations required to optimize the integration of the units of internal sensation induced within these systems. Later, an electronic circuit was designed to replicate the mechanism in engineered systems using the idea that the mode of conduction through the neuronal processes should not matter in inducing internal sensations, by taking advantage of the fact that there is a synaptic delay of 1 to 2 milliseconds at every chemical synapse (Vadakkan 2014). Since intentionality to feed, protect and reproduce is present even in lower forms of animals with less number of neurons, it is reasonable that their nervous systems are making internal sensations of certain nature. Since there are 1.12 million catalogued and nearly 9.92 million predicted uncatalogued animal species on earth (Mora et al. 2011) there is hope that replicating the mechanism in engineered systems can mimic one of these nervous systems. In summary, the development of true AI in engineered systems will coincide with the gold standard testing of the basic mechanism of formation of first-person internal sensations of higher brain functions within the nervous system (Vadakkan 2015a). Given the benefits that its development can bring, every effort should be made to transfer NI to develop AI. Since the artificially intelligent systems will have internal sensations similar to that of the animals, it is time to think about ethical aspects while building these machines. Moreover, regulations should be brought into place regarding the use of such machines to prevent any harmful effects from them in the future. Establishing these two necessary elements as we begin attempts to transfer NI to AI can be taken as signs that we are indeed prepared to make this move! Beginning of a first person neuroscience to complement third person neuroscience is the key first step towards achieving these goals.